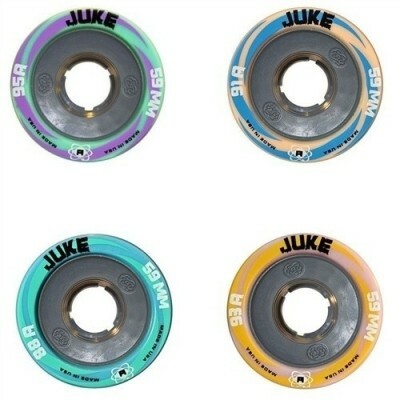 Atom Juke wheels have been a staple of the derby and skating industry since they launched back in 2011. These wheels are the fourth edition (hence the 4.0 name) and released in 2016. That means this is the fourth time Atom has strived to get the perfect wheel design for the Atom Juke. The Atom Juke 4.0 features several changes in the design. Atom took the high-performance urethane of the original Juke wheels and 'tweaked' the chemistry with proprietary ingredients to meet the demands of today's modern skater! These wheels have increased grip and roll, better grip for plow stops, and more control of your skates!